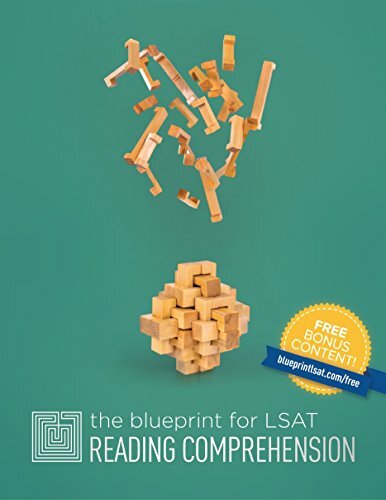 The Blueprint for LSAT Reading Comprehension teaches students how to address the Reading Comprehension section of the LSAT. Readers will learn how to categorize passages based on structure, rather than subject matter, dissect the passages to anticipate questions, and tackle the questions in the most efficient manner possible. Students will learn these methods by working through 33 real LSAT passages, taken from some of the most current Reading Comprehension passages available. Because the LSAT in general and Reading Comprehension in particular have gotten more difficult over the years, it's important that students use the most recent LSAT questions to prepare. The Blueprint for LSAT Reading Comprehension uses the same effective and humorous techniques taught in Blueprint's live and online LSAT prep courses. Each book comes with a free MyBlueprint student account, which allows readers to access Blueprint's website and read PDF explanations for every Reading Comprehension explanation not already in the book. Whether you're studying for the test on your own or you've already taken a course and are looking to improve your score in Reading Comprehension, The Blueprint for LSAT Reading Comprehension is a true Reading Comprehension bible.